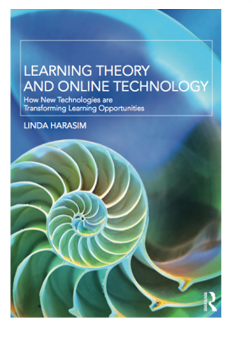 I have just finished reading (and enjoying) Linda Harasim‘s book, Learning Theory and Online Technology (Routledge Publishing, 2011). She postulates that the learning theories of the past centuries need updating for the networked learning era in which we find ourselves. Linda frames a new theory by taking us on a historical journey through the development of previous theories of learning. Marshall McLuhan might have added radio and television to this mix, as we do live in a mediated environment. That said, it would be hard to argue that the internet has not profoundly influenced, shaped and determined our actions in the past decade. Linda uses this historical context to map out the history of the internet, and then in parallel to lay out the historical development of learning theories. She starts with behaviorist theories of Pavlov and Skinner, which in a stimulus – response mode, are seen as too rigid. She then moved into the cognitivist learning theory, with its mind as a computer model. She suggests that this was instructor-centered and transmission focused. She then reviewed the next evolution – constructivist learning theory, with active learning and knowledge scaffolding. To Linda, the introduction of the internet profoundly shifted how knowledge is created and shared. The previous three theories were based on scarcity of knowledge and experts. The internet allowed for the social development of knowledge. Linda therefore proposed a new theory – Online Collaborative Learning (OCL) Theory, which emphasizes active engagement by groups for idea generation, idea organizing, and intellectual convergence. A weakness in Linda’s book is that she never mentions connectivism as a theory, and yet many of the characteristics of her OCL theory align with networked learning and the connectivism theory of Stephen Downes and George Siemens. Like connectivism, Linda sees learning as a process that builds on connections inside and outside the classroom. An interesting point Linda makes is that the role of teacher/faculty is neither “Sage on the Stage” nor “Guide on the Side”, but rather the connection between the students and her network within her discipline. Linda provides three chapters of cases illustrating her Online Collaborative Learning theory, which I found useful. She ends her book by noting the amazing growth of the internet over the past twenty years, from a total of 623 websites in 1993 to the present world of Google, Facebook, Wikipedia, and Amazon. The internet has become a familiar and common aspect of life, yet its impact on education does not mirror this growth outside education. Linda sees the internet as still an “add-on” and not an integrated aspect of teaching. I might argue that this is less true of students than teachers, but I understand where Linda is coming from. She is holding up the promise of online learning. 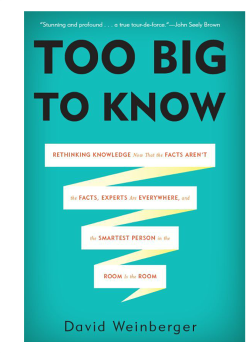 Having just finished Linda’s book, I am now starting David Weinberger‘s new book, Too Big to Know: Rethinking Knowledge Now That the Facts Aren’t the Facts, Experts Are Everywhere, and the Smartest Person in the Room Is the Room . In many ways, David picks up where Linda leaves off. David’s previous book, Everything is Miscellaneous, is one of my favorites and very useful in understanding tagging and social bookmarking. In this book, David notes that society has been bemoaning information overload for thousands of years. Yet we continue to survive (and thrive). 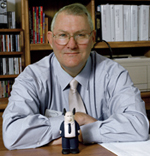 He quotes Clay Shirky‘s famous “It’s not information overload. It’s filter failure,” but adds an interesting nuance. Filters in the past removed information. In choosing which books to place on a shelf, libraries filtered out thousands of other published works. You only saw the books they selected. In this digital era, he uses as an example Mary Spiro’s list in the Baltimore Science News Examiner of eight podcasts one should not miss. While she has filtered out thousands of podcasts, those podcasts can still be found on the internet if one chooses. In other words, today’s filters remove clicks, but not the content itself. So filters no longer filter out, they filter forward. When we use a Google search, the fact that our search returns millions of hits no longer seems overwhelming. We accept it and usually use the first ten hits. In Weinberger’s view, the filters themselves have become content, making our network smarter. I am only through the first chapter of David’s book, but it is a timely piece that continues to nudge my thinking. If you have read either of these books, I would be interested in your thoughts.